What are the top workout headphones with the best sound quality? What’s Important for Sound Quality in Wireless Bluetooth Headphones? What Makes a Particular Set of Headphones Good for Working Out? Do Expensive Headphones Always Last Longer than Cheaper Ones in the Gym? Is Sound Quality in Headphones Subjective? Why is it Worth Getting Workout Headphones with High Sound Quality? After considering more than 30 headphones, these are the top picks for great sound quality in workout headphones. We considered suitability for working out; sweat-protection, durability, comfort, and fit plus, obviously, audio quality. Bose SoundSport Wireless are the best sounding workout headphones for most people. The right combination of clear highs, strong, fun bass, and good volume is what you’ll appreciate the most. Combine that with great ergonomics and usability and you have a winner. 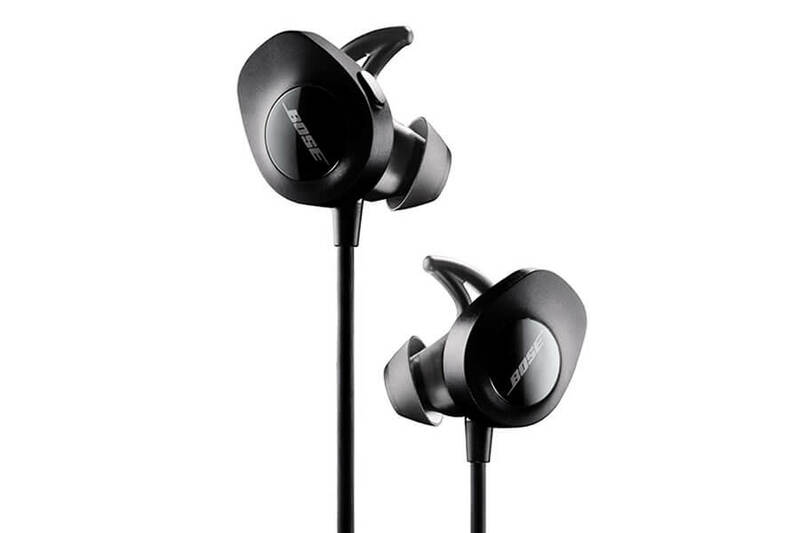 Bose is known for amazing comfort and SoundSport Wireless headphones are no different. The earbuds are so comfortable you’ll soon forget you’re wearing them. With secure fit (using ear hooks) they are suitable for all sports. Noise isolation, on the other hand, is less effective than with other in-ear earbuds. The semi-open design is the reason to blame. Now, this makes these wireless workout headphones great for running or sports outside but not so good for loud gyms. You’ll still enjoy your music in high quality but you’ll probably have to amp up the volume a bit higher than usual. Build-quality doesn’t disappoint either. These Bluetooth workout ear buds are well made and have a thought-through design that’s sweat-proof. Generally, these tend to do very well in all workout situations. The battery life holds a charge for solid 6 hours, has NFC and reliable Bluetooth performance. The lack of aptX support might be a con but the sound quality is still superb among the workout headphones. You can control the music with built-in remote and make calls with its microphone. They have just the right amount of bass that gets you going harder. Add clear highs with good detail and respectable mids and volume and you get the best sounding workout headphones at the moment. If you are looking for great sounding workout headphones that have a more balanced sound signature then Jaybird X3s are your best choice. The company, Jaybird, is known for making superb sports headphones and the X3 in-ear headphones are among the best on the market right now. Comfort is above average with a wide selection of ear tips and ergonomic earbud design. The X3s stay in the ear canal with the help of ear wings/ear hooks and don’t fall out too often. Compared to Bose these aren’t as comfortable but very close. Passive noise isolation is superb. With the ear tips fit you’ll get above average isolation so you can solely focus on your workout. The only average feature of Jaybird X3s seems to be durability. Sure, they are sweat-proof and feel good in hands. But they still tend to die out pretty quickly, definitely more than with other premium brands. Now Jaybird is very well known for great customer service but even that has its limits. If you get them, don’t be surprised if you have to ask for a replacement. The Bluetooth works as intended and doesn’t cut out too often (still happens sometimes). The battery has a great capacity at 8 hours of playtime on a full charge. Unfortunately, Jaybird X3s don’t support the aptX codec. Built-in remote and mic work well for calls and music. Audio quality is the best feature of these workout Bluetooth earbuds. If you like a balanced sound signature, you’ll love these. If you’re more of a general user and like more bass than pick something else. This pair of headphones still has good bass but it’s more subdued and not as strong as with most alternatives. Many people complain about the lack of bass but that’s because it is intended so. The sound is geared towards audiophiles and those wanting something different from the mainstream sound. Jaybird X3s have without a doubt one of the best sound quality in workout headphones. If you’re looking for great-value-for-money workout headphones with great audio quality 1MORE iBFree are the best. While these aren’t as known as the previous models they offer everything you’d want from a workout oriented wireless earbuds. They stay in the ears even during fast movement. The ergonomic design is spot on and you won’t find them one bit uncomfortable. Since these are still in-ear headphones you’ll get good noise isolation. Just pick the right size of ear tips and enjoy your music in peace, perfect for the gym. While 1MORE iBFree are not the most expensive headphones they hold up okay in durability. It’s not their strong point but considering the price it’s not much more you can expect. These aren’t the best built wireless earbuds on the planet but aren’t the worst either. At least they have good water protection with the IPX6 rating. This almost makes them waterproof headphones. Bluetooth connection is very simple to make, you get the usual range while there is some distortion. If you walk into another room with thick walls in between you might get interruptions in your signal. Better keep your music device close nearby. One full battery charge will give you up to 9 hours of music which is great for this kind of headphones. The aptX support helps with the sound quality for modern smartphones. The overall sound signature is very balanced/flat. All the ranges are represented equally which means 1MORE iBFree are suitable for all types of music. These aren’t bass heavy so stay away from them if that’s your preference. For best value wireless workout headphones with great audio quality, check 1MORE iBFree. When it comes to cheap Bluetooth earbuds suitable for working out, SoundPEATS Q30 get as cheap as possible. But all this “cheapness” isn’t a bad thing in any way. With the selection of 5 different sizes of silicone ear tips, you’re sure to find ones that fit. And to get the maximum comfort you can always get some Comply foam eartips. The earbuds are light and don’t give a lot of pull force. They stay in with the help of ear wings even when running or moving around fast. Since these are in-ear headphones noise isolation is good. Pick fitting ear tips and you’ll remove most of the ambient noise around you. This is very helpful for gyms or louder environments. While SoundPEATS Q30 are very cheap in their category, build-quality doesn’t suffer because of it. You’d have a hard time knowing these are budget wireless earbuds because they look and feel just like $100 models. Add to this an IPX6 water-protection and you can very confidently take these to your gym. Bluetooth works as expected, giving around 33ft (10m) of range without obstacles. There’s some disruption if you put thick walls in between but that’s normal for all Bluetooth. They have aptX support which makes them sound better with modern smartphones. Work with iPhone and Android devices. Battery holds a lot of playtime at 8 hours per full charge. Many premium headphones don’t have such good battery life. The magnets in earbuds give you the option to make a “necklace” of them for convenience. In-line remote and mic work well enough to be useful. Sound quality is quite amazing for the cheap price. If you replace the ear tips with Comply foam tips you’ll get the best audio quality. 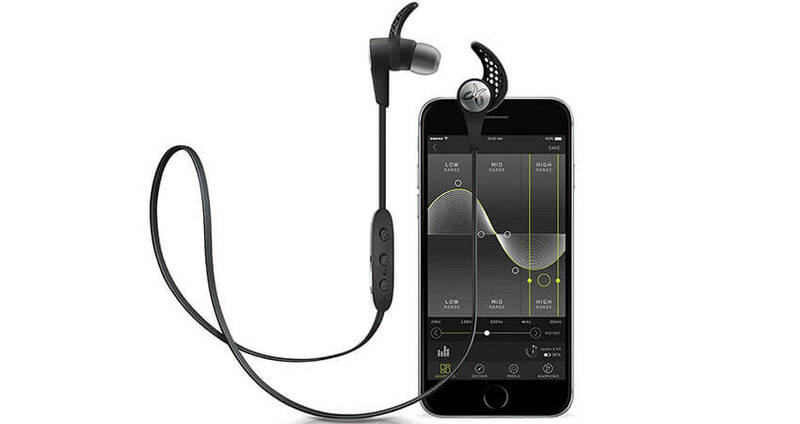 SoundPEATS Q30 are slightly bass emphasized which is perfect for most gym goers and sports people. You get amazing value for money in design and sound quality. SoundPEATS Q30 are the best sound quality you can get from any wireless sport headphones under $30. Skullcandy isn’t known for great sound quality per se but there’s one thing they are the best at. Very loud headphones. These Skullcandy Method are no different. Sweat-proof, cheap and loud. While these don’t use ear wings for a good fit they don’t fall out easily. 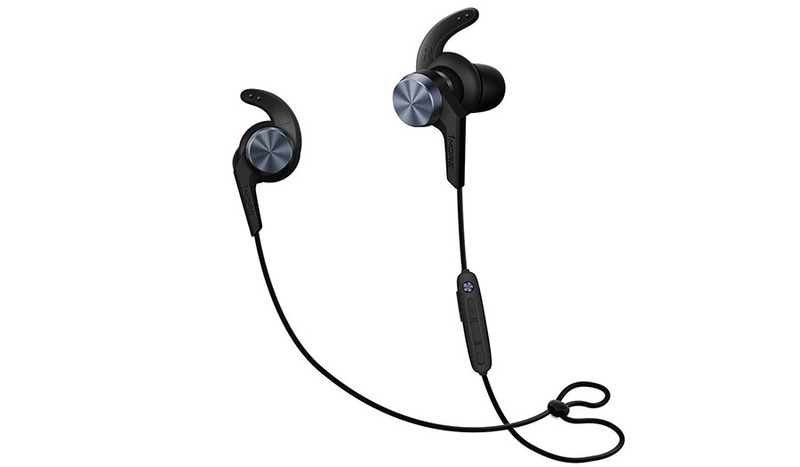 Their ergonomic and lightweight design helps keep them in your ears even when working out and sweating. Because they are so light you won’t feel any discomfort either. Noise isolation is good too. The eartips are very effective at isolating the ambient noise in the environment. They are well made, especially considering the price. You can easily use them for all sports with their sweat-proof construction. You’ll definitely get your money’s worth. 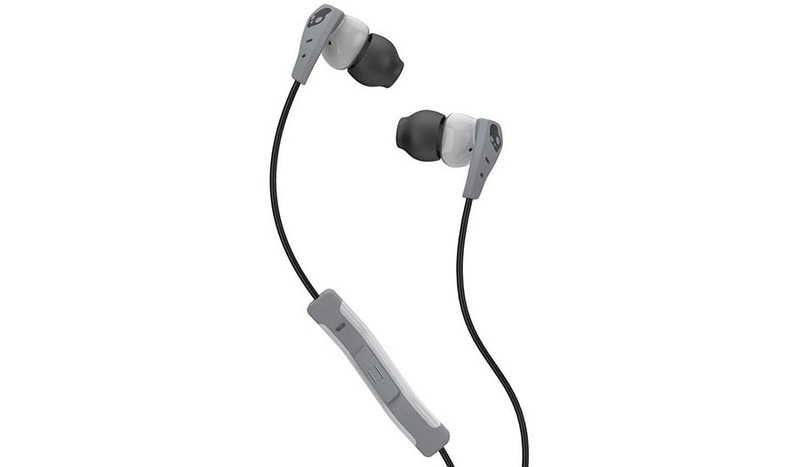 Skullcandy Method are wired in-ear headphones so no Bluetooth or any special features. The in-line remote and microphone are the only “special features” you get. They work as intended just don’t expect amazing voice quality, it’s just decent. The sound is where these have an advantage. Not in sonic fidelity or clarity but in raw power. These earbuds are very loud and will overpower any loud environment. While we don’t advocate listening at high volume for very long due to possible hearing damage, we know that sometimes it’s just too much fun to do so. The loudest workout headphones you should get are, in our opinion, Skullcandy Method wired earbuds. Sony MDR-XB50AP almost have a classic status since they provide amazing value. For any basshead out there, these are a must-have. Due to good ergonomics and relatively small design, they are very comfortable and have a good fit. Because of the lack of ear wings, the fit might need some readjustment from time to time but it’s overall solid. All in-ear headphones usually have good noise isolation and Sony MDR-XB50APs are no different. Above average isolation reduces environment noise effectively putting music forward. While the Sony MDR-XB50AP aren’t officially sweat-proof they hold up against sweat very well. Their high build-quality makes them very sturdy and a great fit for any gym or sports. Just keep them out of the heavy water. Sony builds their headphones well. When it comes to extra features, these wired workout earbuds only have an in-line remote and mic for controlling music and making calls. Sound quality is absolutely superb for the price. MDR-XB50AP are cheap, under $30 earbuds but offer great, bassy sound. The bass emphasis is very obvious, even has a name to tell it (“Extra Bass”). The bass is very strong and overpowering, perfect for all bass lovers who enjoy this kind of sound signature. 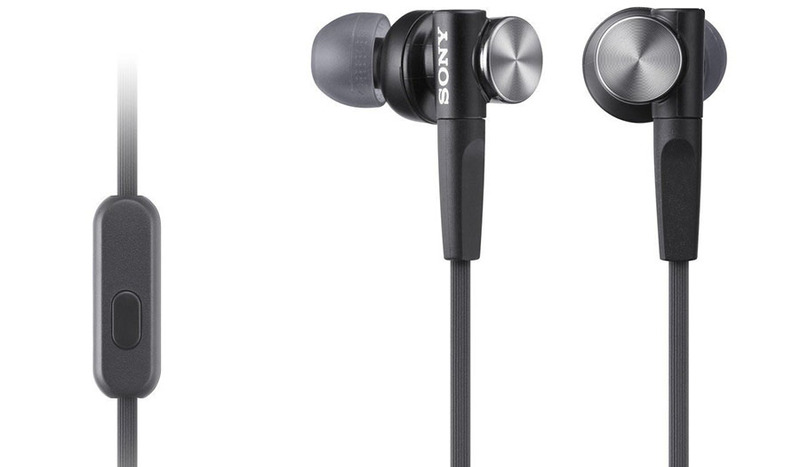 You’ll get the best bassy sound quality in workout headphones from the Sony MDR-XB50AP, bars none. Read the full review. Looking only for wired sports headphones? The only thing you need to know is that Bluetooth slightly lowers the sound quality of your music. Before music is sent to your headphones it has to be changed into the signal. Because the wireless signal carries less data than wires it compresses the music into “smaller pieces”. But when this happens you lose some audio quality. While there are many innovations in headphone technology, Bluetooth seems to be the most popular way to transfer music in workout headphones. Thankfully, lots of modern Bluetooth headphones, even those made for working out, use special codecs which improve the process of compression. Most-known are aptX, LDAC, aptxHD, AAC, and SBC. There are more and better ones being developed all the time. This is good news for Bluetooth headphones. So if you want to get better sound quality from your workout headphones, get ones that support aptX or other Bluetooth codecs. Quality Bluetooth transmission is very important for sound quality in wireless Bluetooth headphones. How to know if my music device supports Bluetooth codecs? If you have one of the newer smartphones it probably already supports multiple Bluetooth codecs. The most common is probably Qualcomm’s aptX. In most smartphones, you can select which Bluetooth codec you prefer. You can also check your phone’s specifications. You can usually find them on the manufacturer’s site. Apart from efficient Bluetooth transmission, noise isolation is also important for good audio quality. To hear the most details you always need peace and quiet. You can’t really enjoy your music if it’s being interrupted by the sound of heavy traffic all the time. This is why headphones with good sound isolation are more enjoyable in non-quiet places. Basically, the only quiet place is your home, at least for most people. So if you want to use them anywhere else, passive noise isolation plays a role. The quality of the drivers and how they’re set up is important in all headphones, including wireless ones. Unfortunately, you can’t really check any stat or data to know the quality of the sound you’ll get. It all comes down to personal preference which means it’s impossible to know before trying. The best you can do is check the reviews of other people. What other people say about a particular headphone model can be of great help in making a decision. The basic requirements for a good pair of workout headphones are pretty straightforward. Since we all sweat during exercise, sweat-resistance is very important for your Bluetooth sport headphones. Electronics is known to be very weak against water and moisture. Things can quickly break and stop working because of a small drop of water in the right circuitry. Thankfully, many modern headphones for sports have some kind of water-resistance level. The water-resistance is most often measured with an IPX standard, explained here. The higher the claimed IPX rating is, the better the protection from water. Some headphones can even survive a dip in the water and heavy rain. There’s a lot of badly made headphones out here. Headphones that fall to the ground once and stop working. You want to avoid these. Since you’re always moving around during exercise there’s a higher chance you drop your headphones. The best Bluetooth headphones for working out are made from durable materials and in a compact and sturdy design that doesn’t break easily. It’s really hard to measure up front, but you can get a pretty good idea if you take the headphones in your hands and feel how they’re made. Comfort and fit are important with all headphones, but even more so with workout headphones. Because if your ears get irritated during a workout when you need to focus on actually working out, you’ll only get annoyed instead of motivated by music. Since movement can change how the headphones fit on your head, this can change comfort in between working out. You don’t want this. Good fitness headphones need to stay put comfortably on your head or in your ears, even during fast movement or unusual positions. Sound quality also plays a role since you simply won’t enjoy listening to headphones if they sound bad. In a workout environment, you probably won’t be looking for sonic fidelity but good enough sound quality that is fun to you. This can mean many different things to different people. Generally, if you like how certain headphones sound nobody can tell you they have low sound quality. On the other hand, there are a couple of standards that are important to most people. For most users having clear highs, a strong, deep bass, and being loud enough is good audio quality. Having wireless headphones is definitely more convenient so this might be one of your requirements for good workout headphones. Having the ability to control music and calls with built-in buttons might be another thing you want. There are many different types of headphones on the market today. Finding the ones best for your needs is important. Could be interesting; The benefits of noise-canceling headphones. Check the best noise cancelling earbuds guide. After looking at hundreds of headphones we are willing to claim this is usually true but not always. You can still get headphones with great build-quality and durability for an affordable or even cheap price. Though this is more of an exception than a rule. On the other hand, there are some expensive headphones from “Premium” brands that don’t offer good durability. You’re mostly paying for a brand name. Expensive workout headphones will usually last longer in the gym, but you can sometimes still save money by buying cheap headphones simply because they’re so cheap. 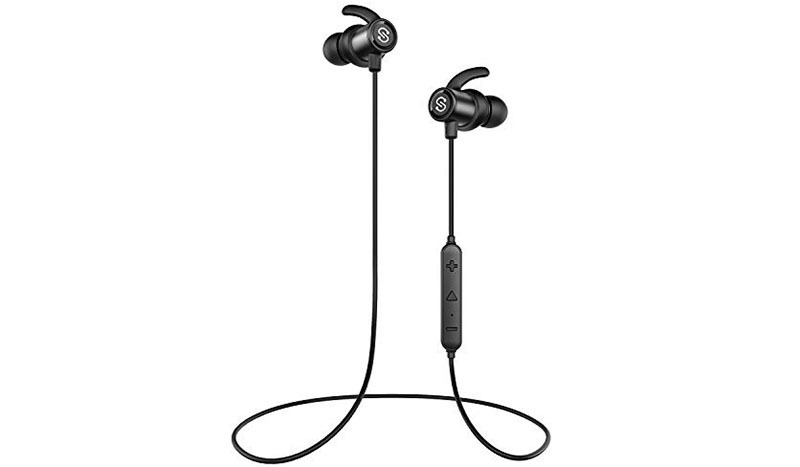 Compare buying 5 pairs of workout earbuds for $30 to 1 pair for $150. Both cost $150. But it’s very unlikely all 5 cheap pairs to die out earlier than the more expensive one. It all comes down to your personal preference. A lot of headphones die because of moisture. Cheat the water by getting yourself a pair of swimming headphones. What is considered high sound quality is a matter of preference. Generally, most people want a clear sound with strong bass and loud enough volume. Whether working out in the gym or outside this is the preferred audio quality for most users. Enjoyable sound quality is important because it impacts your performance in the gym or at other activity. Benefits of using workout music are many and proven. It has an effect on your perception of pain, endurance, improves mood and overall makes you stronger, and faster. So pick your favorite music and get moving, you will get better results.